Los Angeles Center For Digital Art is dedicated to the propagation of all forms of digital art, supporting local, international, emerging and established artists. LACDA has an ongoing schedule of exhibits and competitions, and produce editions of wide format archival prints. Embrace the opportunity this Spring to showcase your artwork on the West Coast in the “LACDA 2014 ‘Top 40’ Juried Competition” from June 12- July 5, 2014. Forty artists and photographers will be selected and will receive one print up to 24 x 36 on museum quality paper to be shown in an international group exhibition in the LACDA gallery. The show will be widely promoted and will include a reception for the artists on June 12 from 7- 9 pm. Multiple entries are permitted, separate entry fee required for each set of three images submitted. Deadline for entries is May 26, 2014 via online registration only. File uploads are the only accepted submissions maximum of 3MB each. Please do not send materials to LACDA. All materials sent to LACDA will not be viewed and cannot be returned. Winners, announced June 2, will be asked to provide high resolution images for final output. Entrants may be asked to provide more examples of their work and more detailed descriptions for consideration. Register Online through the LACDA website by clicking here. For more information regarding the Los Angeles Center for Digital Art, visit the homepage here. Founded in 1989, ROY G BIV Gallery is known for showcasing innovative contemporary art by emerging artists from around the world. Jurors Ann Hamilton, Michael Mercil, James Voorhies and Lisa Dent will select the exhibiting artists anonymously, who will then be grouped with one or two other artists to show at ROY’s Short North gallery space. Ann Hamilton is a visual artist internationally recognized for her large-scale multimedia installations. She is a Distinguished University Professor at The Ohio State University and a recipient of the Heinz Award and the MacArthur Fellowship. She represented the United States in the Venice Biennale in 1999. Michael Mercil is the Chair of Graduate Studies in the Department of Art at The Ohio State University. 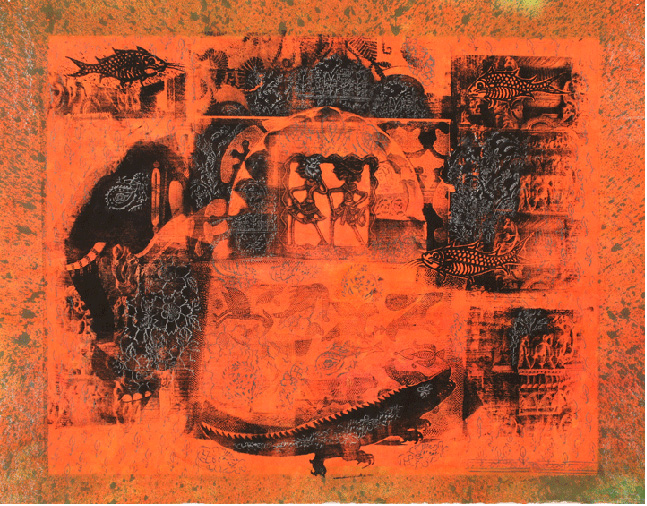 His work has been exhibited nationally, including at the Socrates Sculpture Park, NY, and the North Dakota Museum of Art. James Voorhies is the Director of the Carpenter Center for the Visual Arts at Harvard University. He is a curator and writer whose work has appeared in publications for Texte zur Kunst, frieze and Haus der Kulturen der Welt. Lisa Dent is the Director of Resources & Award Programs at Creative Capital, a national nonprofit that provides grants to artists. Previously she served as the Curator of Contemporary Art at the Columbus Museum of Art. 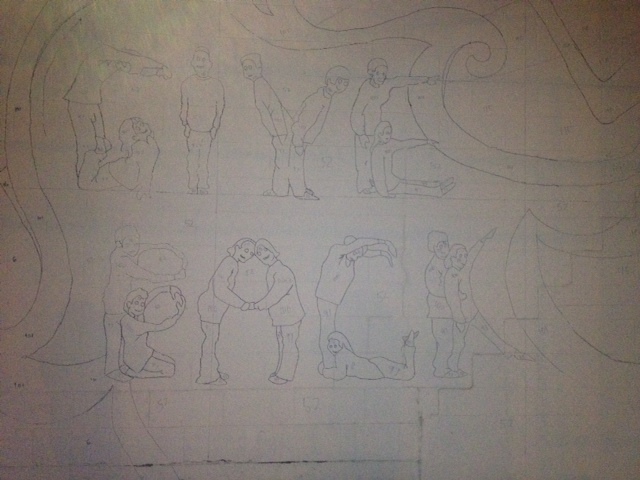 Email 10-15 images/videos, along with an artist’s statement, résumé and list of works to ROY G BIV Gallery Information. File name: Use only a number (e.g., 01.jpg). Please do not embed your name in any images. For video submissions, upload your videos to YouTube or Vimeo and submit their URLs via email. The first minute of each video will be reviewed. Please do not embed your name within the artist’s statement or list of works.List of works should include file name, title, year of completion, medium and dimensions for each work. There is a $25 entry fee for non-members. 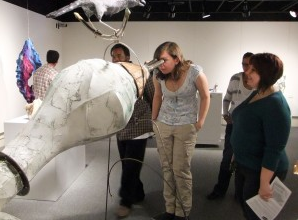 The entry fee is waived for student and artist level members of ROY. Collected fees go toward supporting ROY’s exhibitions throughout the year. Group Show proposals will also be accepted. No additional materials will be taken into consideration. Incomplete applications will not be reviewed. Artists who have had solo exhibitions at ROY G BIV Gallery in the past two seasons (2013-2014) cannot apply. Click here for more information on ROY G BIV Gallery. The Ohio Art League presents the second installment in the Professional Workshop series, the Social Media presentation. Join professionals Walter Herrman, Jeff Regensberger, and Donna Estep through an informative, essential seminar to marketing oneself as an esteemed artist. The Workshop will discuss the importance of online etiquette amongst various social media platforms such as Facebook, Twitter, blog sites, and Tumblr, to name a few. Find out which sites are the best fit for you and your brand while discovering tips and secrets to efficiency. Be sure to pre-register via the Ohio Art League homepage, and take a look at some future workshops available to you! The Social Media Workshop takes place Saturday May 10 from 1 – 3 pm in the large meeting room of the Greater Columbus Arts Council center. The Ohio Art League, the Ohio Historical Society, the Columbus Idea Foundry, Columbus Cultural Arts Center, and The Art and Artists of have partnered to bring you this year’s Ohio Made festival, and we would be thrilled to have you attend this mixer, so that we can better inform you about this all Ohio arts festival. 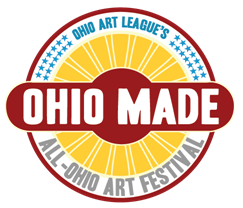 This social mixer is an opportunity for all artists of Ohio to preview the Ohio Art League’s, Ohio Made Festival exhibition and vending areas, as well as register for calls for art exhibition, vendor booths, demonstrations, and installations. We would also like to encourage any art groups and organizations to set up at one of our tables to better inform the artists of your groups mission, and to help you grow your organizations membership. Please contact us if your group or organization would like to participate. B-W Greenway Community Land Trust and Fairborn Art Association present En Plein Air, a juried painting exhibition established in 2009 to heighten public awareness of local nature and the need to preserve it. En plein air style painting is that which an artist creates his or her work outdoors, depicting landscapes and the surrounding environment. This year, the Fairborn, Ohio has chosen Cemex Reserve, a 164-acre restored wetland at the northern end of Beaver Creek Wetland (click here for more information on the Cemex Reserve). Artists who are sixteen years of age or older and live within 200 miles of Fairborn are eligible to enter. 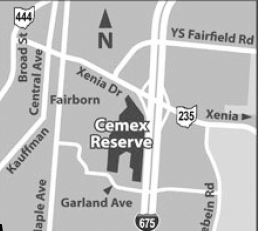 Submitted works must have been created at the Cemex Reserve location until June 28th and may be created in oil, acrylic, pastel, or watercolor, and can include mixed media within the painting. Fairborn Art Association will accept works June 29, 2014 from 1- 3 pm and 5- 7 pm. En Plein Air 2014 will hold an Opening Reception from 1- 4 pm on July 6, with prizes awarded at 2 pm, and be on display through July 27, 2014. For more information regarding the exhibit and to fill out entry forms, click here to see the complete brochure. Rosewood Gallery in Kettering, Ohio presents HWD, or Height x Width x Depth, a juried exhibition celebrating three-dimensional artwork by artists from Ohio and surrounding states. Established in 2007, HWD is the region’s only gallery exhibition focused exclusively on sculpture. from digital images of original work not previously exhibited at the Rosewood Gallery. Works crafted in wood, fiber, stone, clay, glass and mixed media are all eligible for submission. Completed entries (CD or e-mail, entry form and non-refundable check of $20.00 for up to 3 works), will be accepted through June 27, 2014. The Rosewood Gallery will hold an Opening Reception on Sunday, August 24 2014 from 2- 4 pm, at which The United Art and Education Awards, totaling $1,100, will be presented at 3 pm. The exhibition is to follow through September 26, 2014. For more information or to enter a submission, follow the link to visit the HWD: Regional Sculpture Competition page. If you’re in the Bexley or Columbus area this Spring, Art Access Gallery on South Drexel Avenue is hosting the “Made with Paper” exhibition from now through June 2nd. 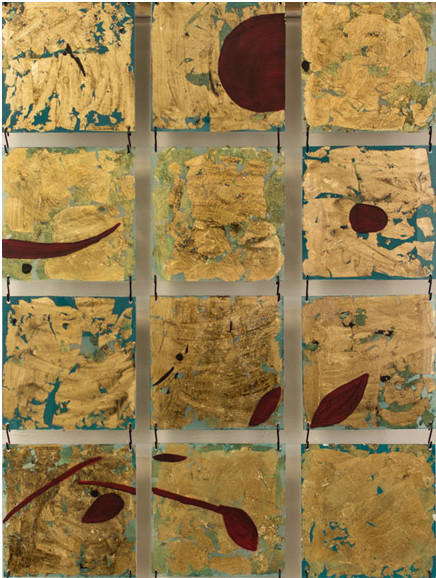 Featured artists such as Julie Abijanac, Sharon Dougherty, Elena Osterwalder, and Nicholas Hill express various elements of life through textures, colors, and materials. Visit the Artist’s Reception April 25th from 5-8 pm to get a better glimpse into the minds of the artists. 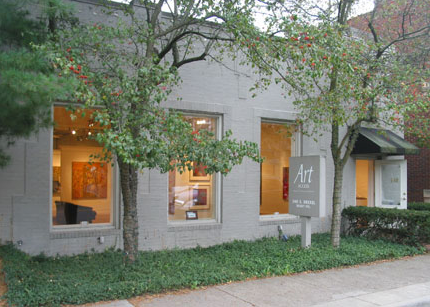 For more information, or to learn about upcoming shows, visit the Art Access Gallery website here. Take a little getaway this summer, while brushing up on your brushstrokes with Tony Couch’s 5-Day Watercolor Painting Workshop in Oxford, Ohio. Oxford, the quaint home of Miami University, lies about fifty minutes Northwest of Cincinnati near the Indiana border and serves as the perfect backdrop and inspiration for painters at any level. 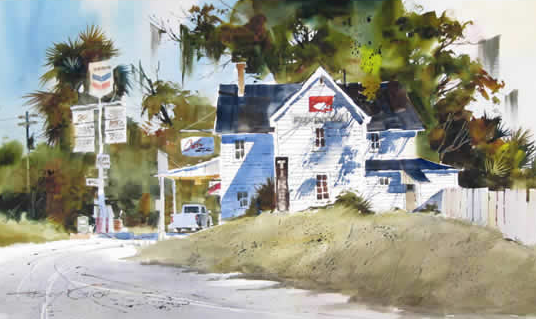 Tony’s exemplary experience enables him to instruct others in the art of watercolor painting. “Anyone can learn to produce good art. ANYONE! After all, it is a skill, and skill is teachable. The first thing for you to understand is YOU can DO IT! The key is GOOD instruction, and lots of practice,” says Couch. 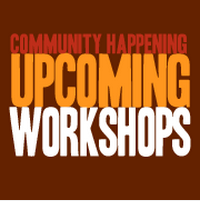 The workshop takes place from July 14-18 2014 at the Oxford Community Arts Center. Each of the 5-day courses are from 9 am to 5 pm. The five-day fee of $450 is due in full by June 14, 2014. Many surrounding hotels are offering deals and discounts to those that are traveling from outside of the area, so be sure to mention “Tony Couch Fine Art Workshop” when comparing special rates via the link below. Whether you’re learning a new medium or merely delving back into an old steadfast, these workshops promise improvement and debunking the “mystery” of design. Each morning begins with a full sheet demonstration, instructed by Couch, followed by ample time for an afternoon painting session, in which you discover your own hidden talents. Near the cessation of each day’s workshop, critiques are offered by fellow classmates as well as the instructor, enabling you, as the artist, to see a different perspective on your own work. The positive environment allows you to grow as an artist by seeing works through the eyes of others. Download the full brochure for a list of hotels and a registration form here. 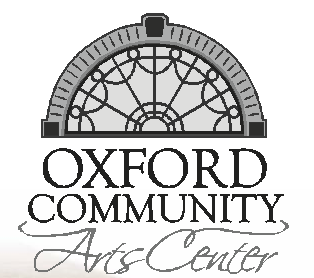 To register online or to check out more about the Oxford Community Arts Center, click here! 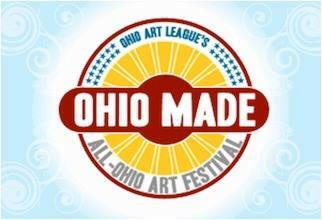 The Ohio Art League, along with the Ohio Historical Society, Columbus Idea Foundry, Cultural Arts Center, and Art and Artists of 614 are proud to present the second annual Ohio Made: Celebrating Artists Now Festival. This All-Ohio Arts Festival recognizes the art of fellow Ohioans against the backdrop of the charming, historical Ohio Village. The Celebrating Artists Now Recognition Reception will take place Friday, September, 26th (the night before the Festival) from 6:30- 9 pm to commemorate elders in the art community and recognize the art contributions of Ohio Native Americans. Examples of recognized artists will be on display and local artwork will be raffled. 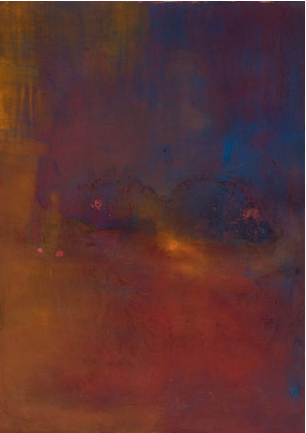 Most notable artists’ works will be chosen for the Juror’s Choice Award, and their works will be on display alongside the works of the esteemed jurors, Barb Vogel and Kojo Kamau. Join us for Ohio Made: Celebrating Artists Now on Saturday, September 27 from 10 am to 5 pm for a unique celebration of, for, and by local artists. 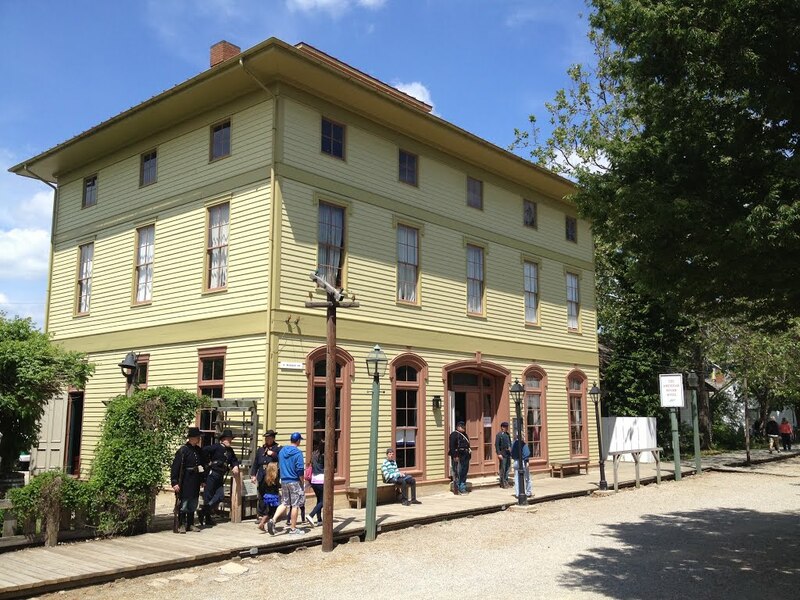 Stroll through a marketplace of artists while enjoying food, music, and artistic demonstrations within the Ohio Village. Notable local artists will be specially recognized and a juried art show will be on display. Deadline for vendor registration is Sunday, August 3rd at 11:59 pm. Click here to register via the OAL homepage. For more information regarding the festival, vendors, awards, or events, visit the Ohio Historical Society website.